Sapan Jagmohan's greatest moment was in all probability 1973's superb 'Call Girl'. The composing duo was responsible for a number of additional scores though, of which 'Videsh' is quite enjoyable if not entirely spectacular. 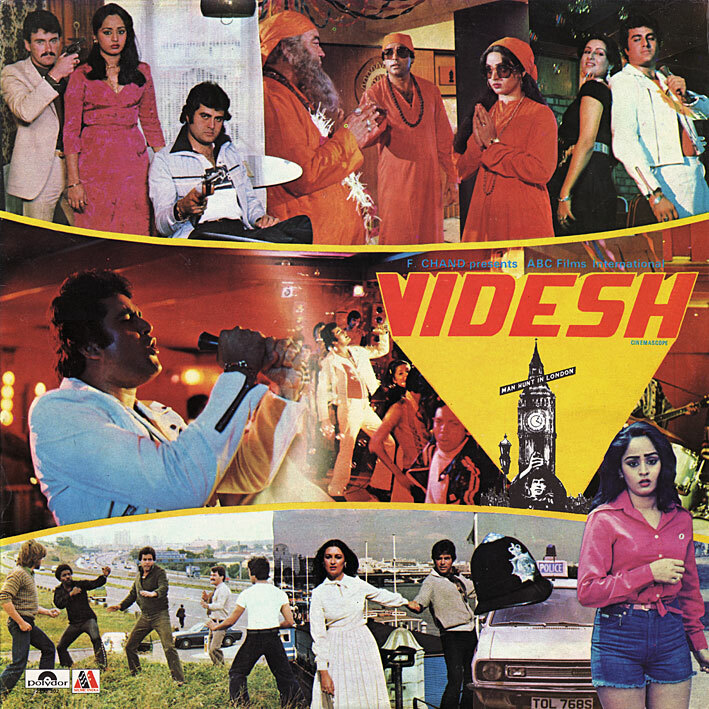 It's fairly funky, much of it… opening track 'Meri Aakhon Mein Ek Sapna Hai' has been featured on compilations and contains an irresistible guitar intro (why can't Bollywood actors playing guitar in films ever even try to make it look believable?) and some interesting breaks, while 'Come On Baby Dil Kisko Degi' and its English language counterpart 'Don't Burn Me' are supremely cheesy (and catchy) dancefloor stompers. Is that The Osmonds' 'Crazy Horses' they've borrowed the whinnying sound at the end of the verses from? singer Ajit singh may be composer of ramsay brother`s Horror flick "Purana Mandir"
Thanks PC, a very rare and good album. Thanks for sharing such rare & unheard of albums. D33p bro!!! if you don't mind, do you have all PC rips? it looks awkward to chat on others blog but I am desperate to have few of them. I do have quite a few of them but not ALL. Some of the albums were not of my interest so didn't download...though in hindsight think I should have. i agree with gabrujat views , where we contact u for another links...? what about another Manoj Kumar most famous film "Roti Kapada Aur Makaan (1974)"